Periodontal disease, an infection of the teeth, gums, and bone that surrounds the teeth, is the number-one cause of adult tooth loss. It begins when plaque, a sticky film of food and bacteria, builds up on your teeth. If plaque isn’t removed, it hardens into calculus, also called tartar. The buildup of plaque and tartar dramatically increases the number of harmful bacteria in your mouth and can result in deepening spaces between the teeth and gums, called pockets. Bacteria trigger the body’s immune system to produce enzymes. These enzymes destroy the bone surrounding the teeth, which ultimately leads to tooth loss. What is the prevalence of periodontitis? 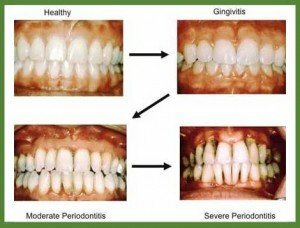 A recent evaluation of the National Health and Nutrition Examination Survey III, or NHANES III, looked at the prevalence and extent of periodontitis, gin; gival recession, gingival bleeding and calculus in the U.S. adult population.’ In these extensiveanalyses, the authors describe a subsample of 9,689 dentate persons 30 to 90 years of age who received a periodontal examination, representa-nection and discusses these findings as they relate to patient care. The article examines trends in nonsurgical and surgical therapy that will successfully arrest periodontal infections. Opportunities for early diagnosis and prevention will play an increasing role in dental practice in the future as patients understand the importance of oral health to overall health. More comfortable access to the root surfaces, thanks to the small tip. Extensive reviews of the literature have been conducted regarding the use of power-driven scalers or manualscalers for root debridement. Results confirmed that calculus and plaque removal can be performed equally well with either manual or power-driven scalers. The data showed that root damage can occur with either manual or powered scalers if the instruments are used at the incorrect angle with excessive force, but that with proper use little damage is observed on the root surfaces. Wound healing studies have shown significant attachment gains, as well as reductions in probing depths and bleeding on probing with both manual and ultrasonic and sonic scaling. Most studies have failed to denote any significant differences between changes in the clinical parameters when comparing manual or power-driven scalers. One notable exception is that of furcation debridement, where ultrasonic scalers with standard or newly designed furcation tips appear to be superior to manual scalers in Class II and Class III furcations. Thinner tips have been developed that increase the access to deeper pockets compared to manual scalers. Ultrasonics and sonics and topical antimicrobial therapy. There are several new trends in instrumentation techniques that have occurred within the last few years based on a large body of evidence that supports the safety and efficacy of using sonics and ultrasonic scalers for scaling and root planing and the expanded potential role of antimicrobials in the ultrasonic lavage. Topical antimicrobials have emerged as important adjuncts to nonsurgical therapy and are easily delivered in the ultrasonic lavage during instrumentation. Povidone iodine, or PVP-I, and chlorhexidine, or CHX, are both effective topical antiseptics that could potentially be used to enhance results in initial therapy or maintenance patients. Studies using CHX for full-mouth decontamination for treatment of adult periodontitis compared with traditional scaling and root planing have been reported. Many dentists successfully treated adult periodontitis patients with scaling and root planing and partial-mouth or full-mouth chlorhexidine disinfection with multiple applications of chlorhexidine in the form of a mouthrinse, tongue brush, pocket irrigation. Topical application of PVP-I and iodine solution have been explored in several small studies. 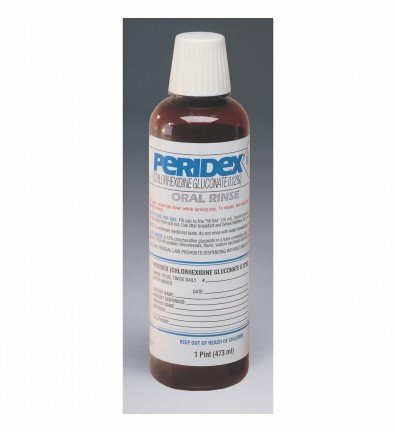 Some investigators have used PVP-I and iodine in various applications during periodontal therapy, including use as an irrigation solution or in mixtures with baking soda and with peroxide. Although not yet a strong trend, recent data suggest that antimicrobial toothpastes may be useful in the long-term maintenance of oral health in periodontitis-susceptible patients.